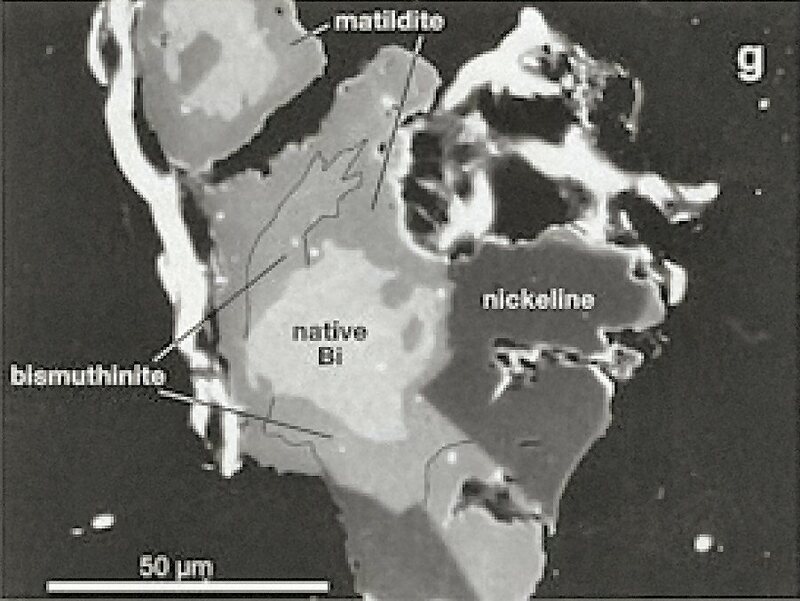 Comments: SEM image of native Bi replaced by bismuthinite and matildite. Black areas represent gangue minerals. (CanMin, v43:899). Location: Uranium deposit at Niederschlema-Alberoda, Germany.